It’s a common saying that disasters are natural and mistakes are man made. 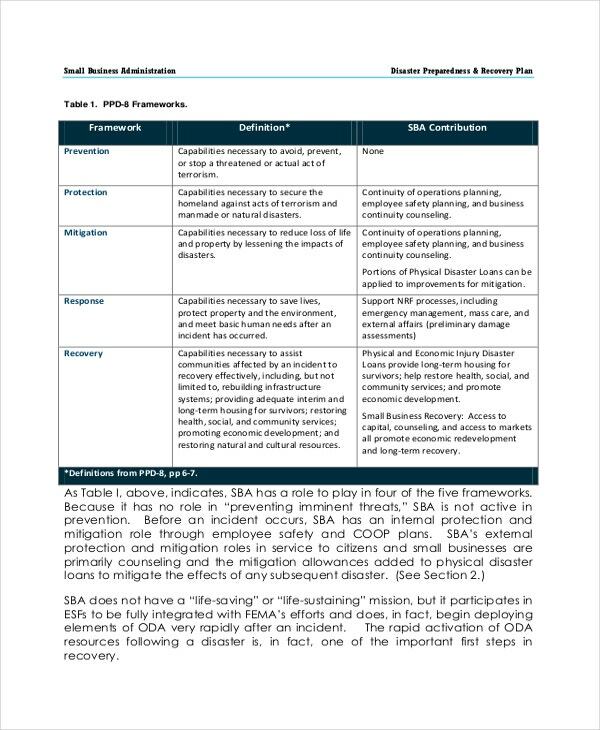 However, a proper disaster recovery Plan Template reduces the impact of those natural disasters. It also prevents such catastrophes from reoccurring over a period. 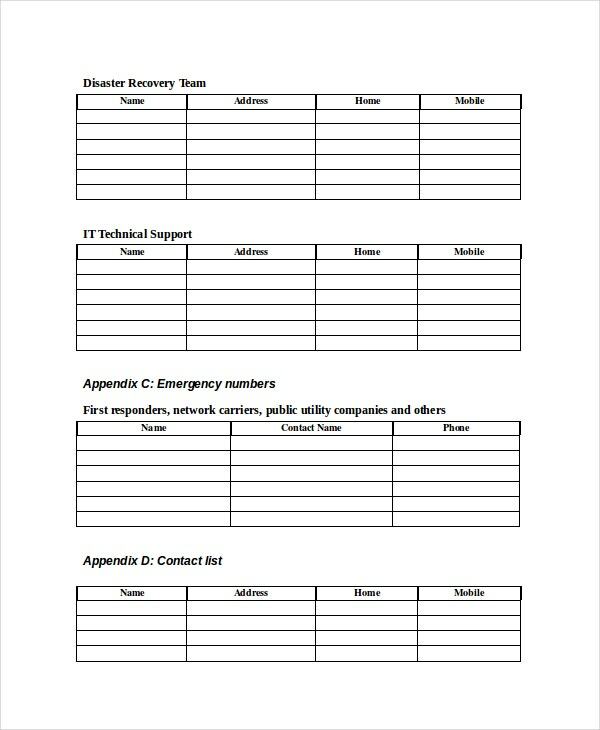 Below are some Disaster Recovery Plan (DRP) Examples which will help you cope up with the havocs. They specify procedures which the system has to follow in the event of a disaster. All of them are print-ready, that way they are best of both worlds. Look at them now.You may also see Plan Templates. 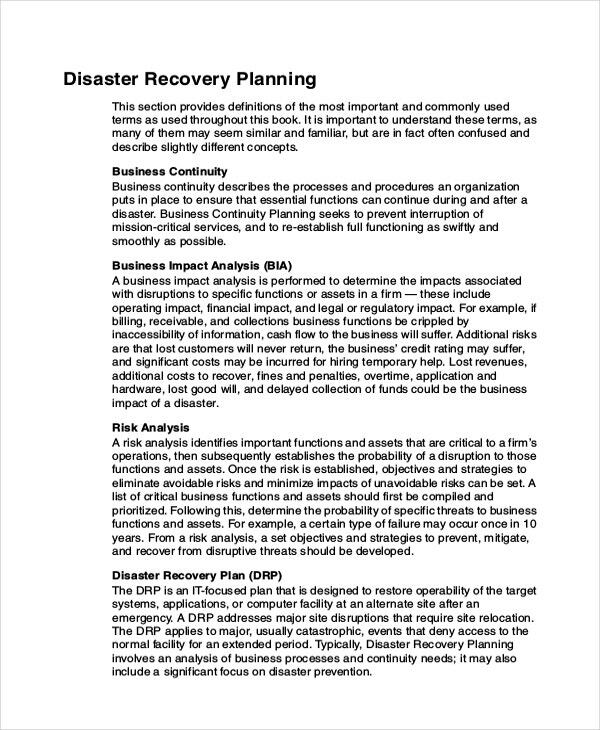 The Business Disaster Recovery Plan Examples prepare you for the unforeseen risks that are likely to happen in your business and help you re-establish the connections to meet immediate business needs. How are you going to handle your “lost” network connection? Don’t leave it to the vagaries of fate or fortune. 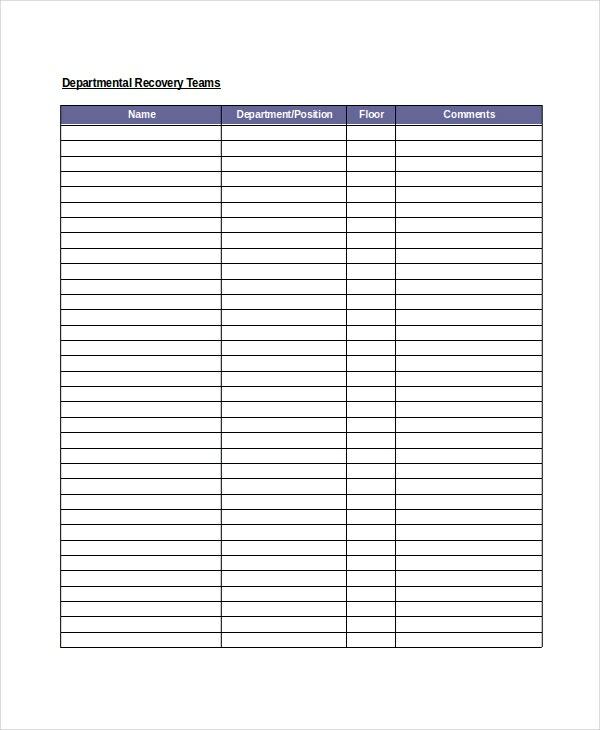 This Network Disaster Recovery Plan Example helps you recover your “dropped” connection in least time possible. What are your plans of Recovering the data in the event of a Server collapse? This Data Disaster Recovery Plan Example helps you forestall the possibilities of data getting scattered all the way. Information Technology processes the information rightly and rapidly. 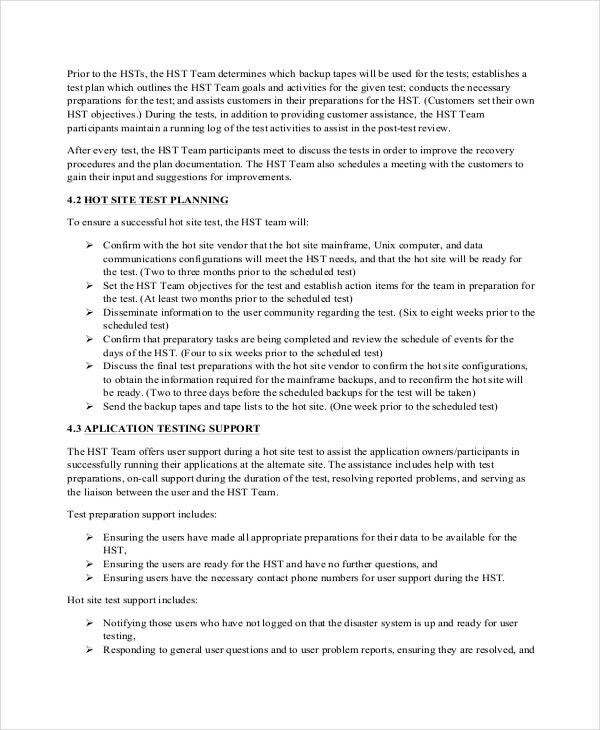 This Information Technology Disaster Recovery Plan Example helps you reduce the aftermath of a crash in the IT system and prevents it from happening again. Application Disaster Recovery Plan Example is for web applications. It makes you ready for contingency planning. You can use this for Desktop Applications, Mobile applications, and for Cloud Applications as well. Building a Data Center costs an arm and a leg. 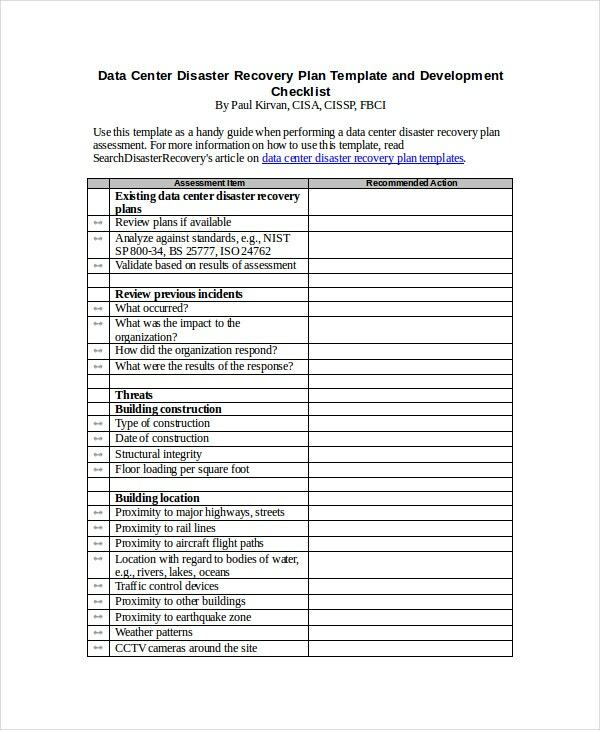 This Data Center Disaster Recovery Plan Example enables you with the first steps that gauge your data center from power loss, system failure, and other human errors. This Database Disaster Recovery Plan Example works as a quick guide for Database Administrators. It reads through the survival techniques when unprecedented tragedies such as lack of backup power and virus attacks occur. 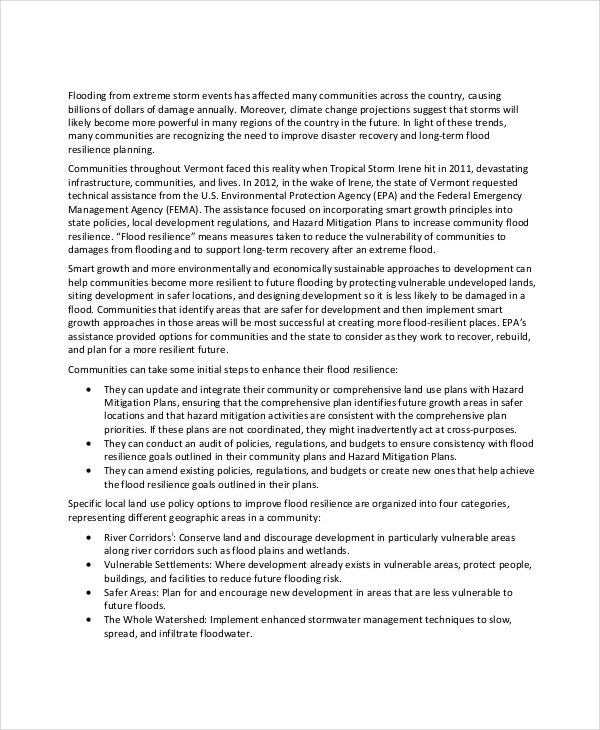 This Flood Disaster Recovery Plan Example suggests the immediate action that needs to be taken to mitigate the aftermath of devastating floods. This action includes rebuilding the broken supply chain management, improving access, etc. The Stock Market’s severe falls in the recent past drove many businesses into oblivion and Banking Panic added insult to their injuries. 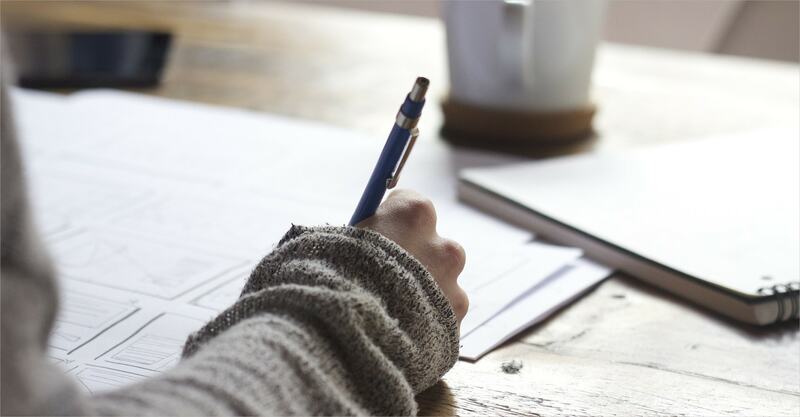 This Financial Disaster Recovery Plan Example protects you from the after effects of a financial crisis caused by market fluctuations and guarantees you financial recovery. 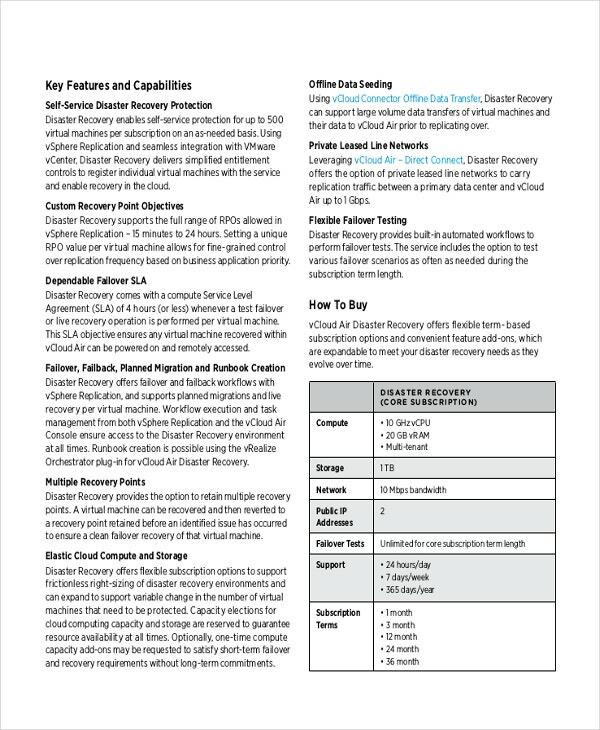 This Vmware Disaster Recovery Plan Example helps you with some promising and non-disruptive recovery measurements with failover and failback that avoid any further collateral damage. Go live again without any inhibition! Why have a Disaster Recovery Plan? 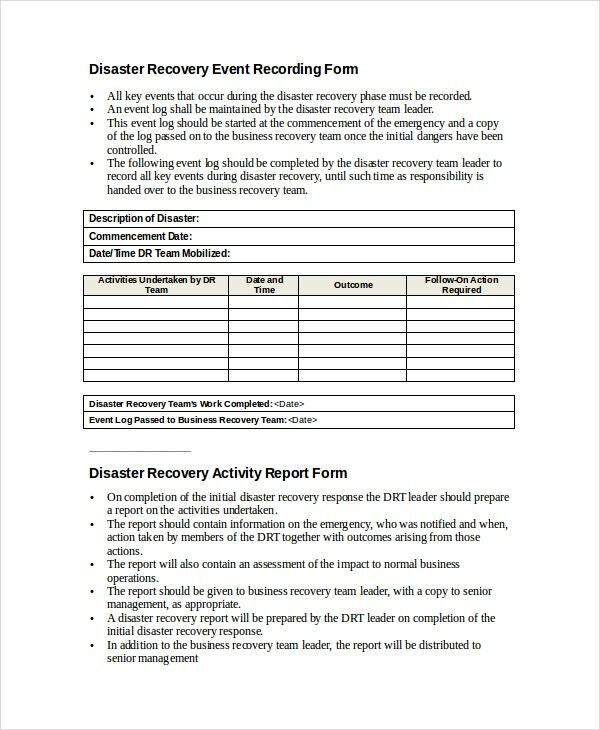 According to Wikipedia, Disaster Recovery Plans (DRP) are documented processes or set of procedures that talk about after action. They are intended to recover and protect the system and infrastructure when something undesirable arises. These priority statements even avert the situation from becoming hopeless and haphazard and keep the unpredictabilities at bay. Whether it is real estate decline or stock fluctuations, Disaster Recovery Plans are actual the torchbearers. 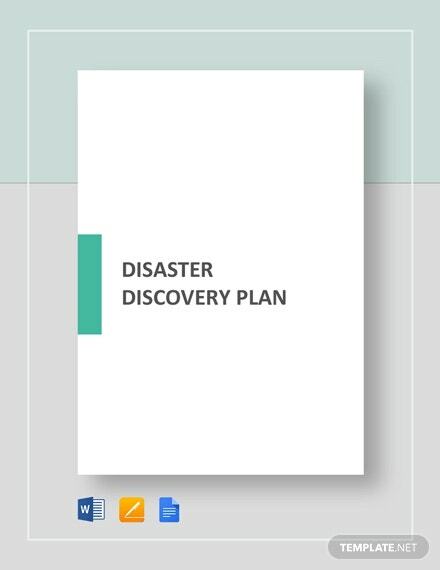 The Disaster Recovery Plan Examples in this section give step-by-step instructions that are easy to follow. They can be easily blended both on desktops and smartphones.